Classic Crumb Cake Just Like The Kind You Would Find In Your Favorite Coffee Shop, Pumpkin Crumb Cake! A Tender Cake Topped With Large Chunks Of Cinnamon Sugar Goodness! I know, I know, I can’t believe fall is here! But I am loving all of the apple and pumpkin recipes that I am seeing. 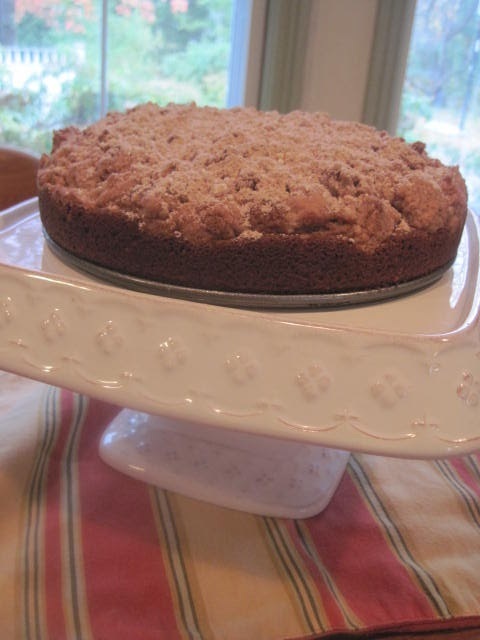 I am crazy about crumb cake! This is for all of my pumpkin fans…I am one of those! Pumpkin pies, pumpkin bars, pumpkin cookies, yeah, I love them all! How many crumb cake recipes can you possibly have? 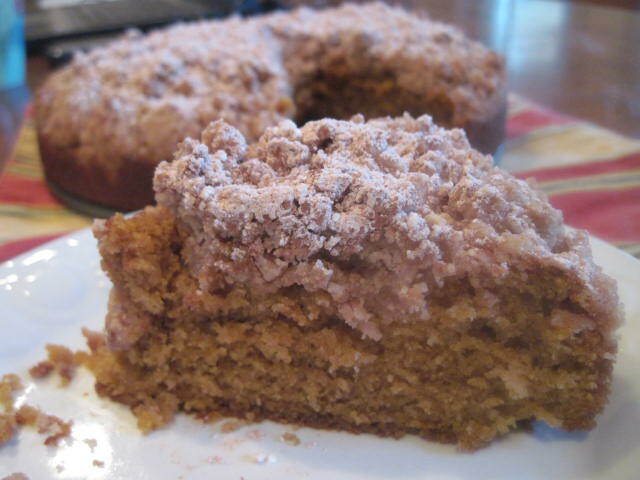 Well look no further, this is the best pumpkin crumb cake recipe you will ever taste! Moist and delicious, perfect fall comfort food! The cake portion of the recipe is a very simple one, but the topping is special. With a unique topping that you break apart into pieces before baking, it is worth the effort. 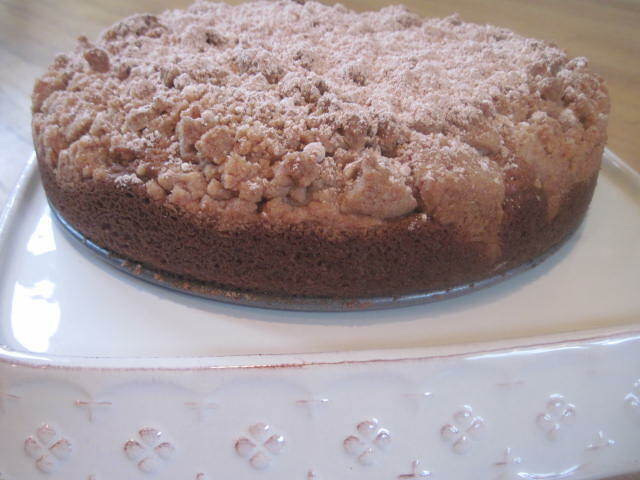 This is THE crumb cake you will want to make for brunch or treats you bring into the office. I made this cake just for myself and froze the remaining 8 pieces so I could enjoy them with my morning coffee. If wrapped individually well with saran wrap then placed in a Ziploc bag with the air pushed out, this cake is delicious even if defrosted. This cake is perfect for a crowd or just when you want something pumpkin for dessert or a snack. So, how could you not be needing this in your life right now? Okay, maybe you can wait until the weekend, but make it soon. It’s amazing! And Happy Fall, enjoy this fun time of year! 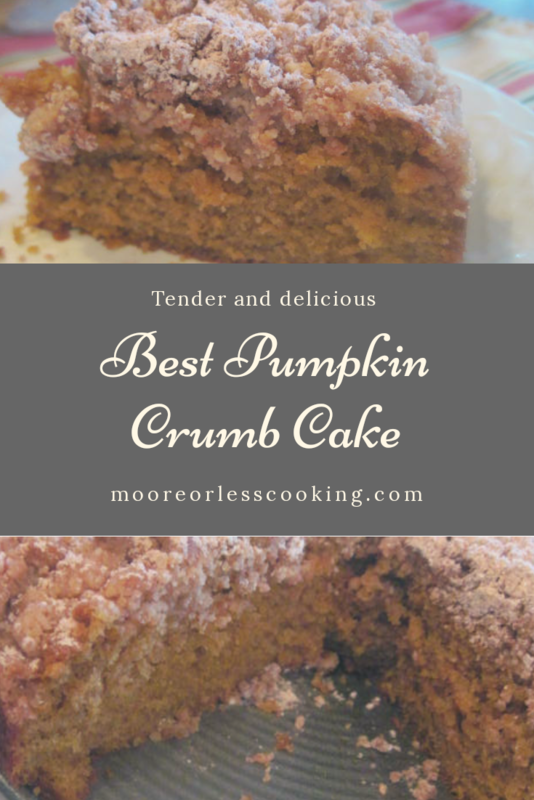 A delicious and moist pumpkin crumb cake, perfect for breakfast, brunch or dessert. To make the crumb topping, combine the sugar, salt and cinnamon in a bowl. Stir in the melted butter and then the flour. Mix well and set aside. To make the cake, cream the butter and sugar together using either a stand mixer or a hand mixer. Add the eggs, vanilla, pumpkin and sour cream and continue mixing until combined. In a separate bowl, combine the flour, baking powder, baking soda, cinnamon, pumpkin pie spice and salt. Stir into the batter and mix until combined. To assemble the cake, pour the cake layer batter into a greased 9" round spring-form pan (you can also bake this in a 9" square baking dish). Crumble the crumb topping evenly over the batter and bake in a pre-heated 350 degree oven for approximately 45 - 50 minutes or until a cake tester comes out clean. Allow to cool completely before removing from the spring-form pan. Dust the top with the sugar/cinnamon mixture before serving. PLEASE YOUR KILLING YOUR MOTHER 2 OF MY FAVORITE THINGS CRUMB CAKE “AND” PUMPKIN TO GREAT!! Can’t wait to try this one. This looks so good Nettie!! I can’t find a ziplist button so I can keep this one on hand! I will try to add that to my blog. I cant wait to try this! Love pumpkin and fall! This looks very good! 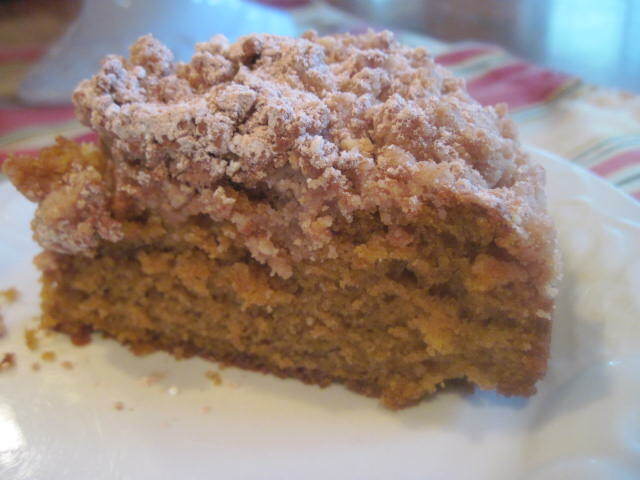 Its the time for pumpkin and crumb cake is so yummy! Looking forwarding to trying this! How much flour goes into the topping mixture, you did not include that in your recipe? can I make them into cupcakes instead? It would be great as a cupcake! Love your pumpkin crumb cake! It’s look so amazingly delicious! This sounds very good . I will be making it this year for Thanksgiving. summer passes too fast.